You hear a lot of jokes about the minivan. It’s a family vehicle; it’s for soccer moms or hockey dads. These are the words of someone who hasn’t driven the Dodge Grand Caravan. Do away with the cliché and see why the Dodge Grand Caravan has spent years being one of the top vehicles in its class. Don’t believe us? Take a minute and review the top features, professional and user reviews. Should You Buy the Dodge Grand Caravan? If you need budget-friendly, spacious transportation, a Dodge Grand Caravan is worth taking for a test drive. We could start by talking about its fuel efficiency, its continuously refined style and chart-topping tech but the spacious interior takes the cake. With its Stow'n Go seats, you can easily collapse the rear seats into the floor to get more cargo room and easily set them back up for passengers. Accessible and easy to navigate interior storage puts everything you need for a road trip at the fingertips of you and your passengers. Have you seen the Super Console? The design team behind this convenient storage console keeps your vehicle clean and organized without batting an eye. The Dodge Grand Caravan has been making spacious vehicles for families for years, whether you buy new or used, you’ll find excellent design embedded in every Dodge you test drive. Sure it has room but what about performance? 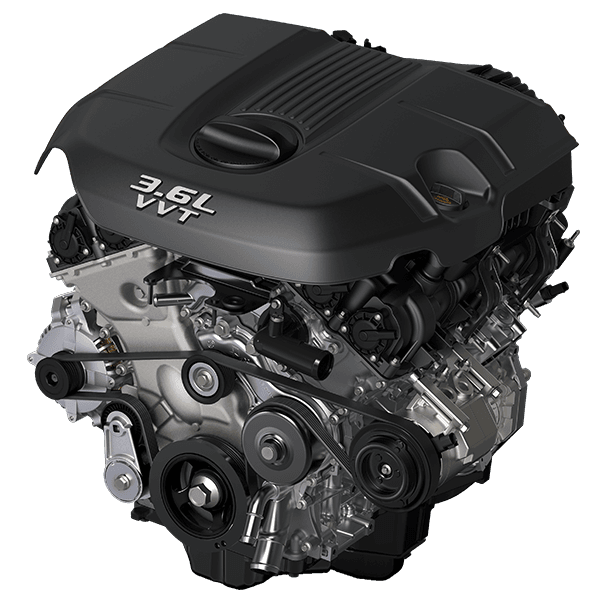 The Grand Caravan's 3.6L Pentastar VVT V6 engine brings power and efficiency to families both big and small. The 2018 model always has your pocketbook on its mind with 9.4L/100 KM (30 mpg) on the highway and a City reading of 13.7L/100 KM (21 mpg). The powerful V6 is paired with a six-speed automatic transmission that shifts you easily through uphills, acceleration and everything in between. The Grand Caravan earns the Insurance Institute for Highway Safety's top score of Good in four tests and comes with some of the most impressive safety features on the market today including a rear cross path detection system and blind spot monitoring to keep you safe while in motion. Dodge has over 65 safety features to keep you and all your passengers safe on the highway, the backroads, and in the parking garage. Over the years, the Dodge Grand Caravan has proven to be one of the industry’s leaders in exception family transportation. If you’re curious about what this new and improved minivan has to offer, stop by and visit us for a test drive today. Our staff can help answer any questions and provide insight into the deepest depths of the minivan market. Put the stigma behind you and get in your new minivan today.